HOT DEALS: Big-screen bargains from Richer Sounds | What Hi-Fi? And the flagship 21:9 widescreen model, the Philips 56PFL9954, is available with a £1000 discount at £2999.95. 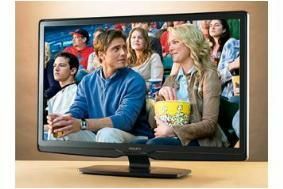 Other TV hot deals include the Panasonic Viera TX-P50S10 at £699.95 (saving £300) and LG 50PS3000 at £599.95 (saving £200). And if you want a full 5.1 surround sound system to go with your telly, Richer is offering its VIP customers the Cambridge Audio Azur 650BD Blu-ray player, Sony STR-DA3500ES AV receiver and KEF KHT2005.3 speaker package as a bundle for £1299.95, saving £500. For these and many more discounts, head on over to the Richer Sounds website.